Timely, open-access, peer-reviewed reviews of current scholarly work in the field of classical studies (including archaeology). This site is the authoritative archive of BMCR's publication, from 1990 to the present. Reviews from August 2008 on are also posted on our blog. The Classical Association of Canada was founded in 1947 as a national non-profit organization. It aims to advance the study of the civilizations of the Greek and Roman world, their later influence, and their creative presence in modern culture. The Association works to promote the teaching of classical languages and civilizations in Canadian schools, colleges and universities, the publication of research in classical studies, and public awareness of the contribution and importance of classical studies, and liberal studies in general, in Canadian education and life. An evolving digital library hosted by Tufts University with the primary goal of making accessible a wide range of source materials. The flagship collection, under development since 1987, covers the history, literature and culture of the Greco-Roman world. In addition, Perseus includes primary and secondary sources in early modern English literature. Founded in 1972 the TLG® represents the first effort in the humanities to produce a large digital corpus of literary texts. Since its inception the project has collected and digitized most texts written in Greek from Homer (8 c. B.C.) to the fall of Byzantium in AD 1453. Its goal is to create a comprehensive digital library of Greek literature from antiquity to the present era. TLG research activities combine the traditional methodologies of philological and literary study with the most advanced features of information technology. A non-profit organization dedicated to providing affordable access to materials in applied ethics, classics, philosophy and religious studies that offers distribution services for a wide range of print and electronic materials. Dalhousie Libraries has access to their e-collection of scholarly publications, directory of philosophy, and philosophy research index. This Harvard-based project offers a GIS approach to mapping a spatial analysis of the Roman and medieval worlds, allowing you to trace Roman road networks, bridges, aqueducts, military installations and the cities and settlements of the empire. Sources from the University of Chicago's Digital Library Project in archaeology, art, history, language, law, and the religions of Sumer, Babylonia, Assyria, Egypt, Nubia, Persia and other ancient peoples of Anatolia and the Fertile Crescent. Classical material from Bronze Age to the Middle Ages. The Eichstätt Information System for Classical Studies. The official blog of the Digital Classicist, the site is maintained by a consortium of scholars in Classics and Digital Humanities and holds back files of open access scholarly projects. Projects at the Stoa are often linked to materials and tools available from the Perseus Digital Library. 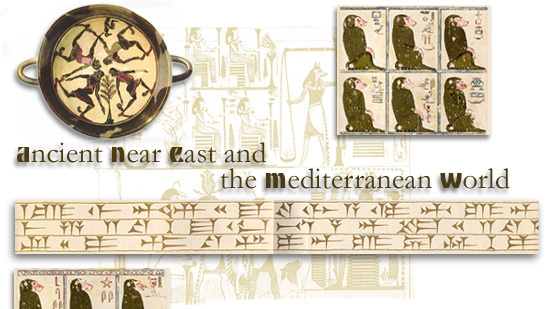 Provides the tables of contents of a selection of Classics, Near Eastern Studies and Religion journals, both in text format and through a Web search program.